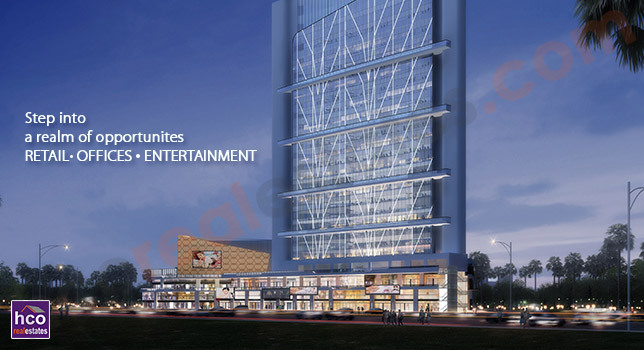 With a tremendous need of commercial space, a leading builder SV Housing (SVH) is offering its extraordinary “83 Metro Street Gurgaon” commercial project with Retail, Office and Entertainment space that collectivity inserts a true comfort while doing a business. Everything here at 83 Metro Street Gurgaon Sector 83 Gurgaon is planned to meet the modern needs because everything it possible when beautiful mind decides to bring something better to the world. This highly developed street on Dwarka Expressway, Gurugram opposite proposed ISBT & Metro Station holds the extravagant attention of the public where they can shop and eat with immense pleasure because its impressive designs enclose the best experience. Nothing is better than having a piece of property that piques the overall development of life and here this 83 Metro Street Gurgaon masterpiece surrenders the modern needs and marks out a top notch experience for its investors and users both. SV Housing (SVH) a strong name in Indian real estate field where they have managed to bring the most satisfying commercial and residential projects and each of the project is planned to hit the exclusive needs and their new commercial project in the perfect location connects to everything to elevate the business. Get this new lunch commercial project on Dwarka Expressway and let your business flare up because there is no limit when you are a part of such exotic planning.